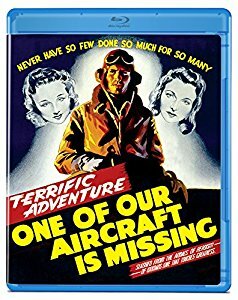 ONE OF OUR AIRCRAFT IS MISSING (British National Films/U.A. 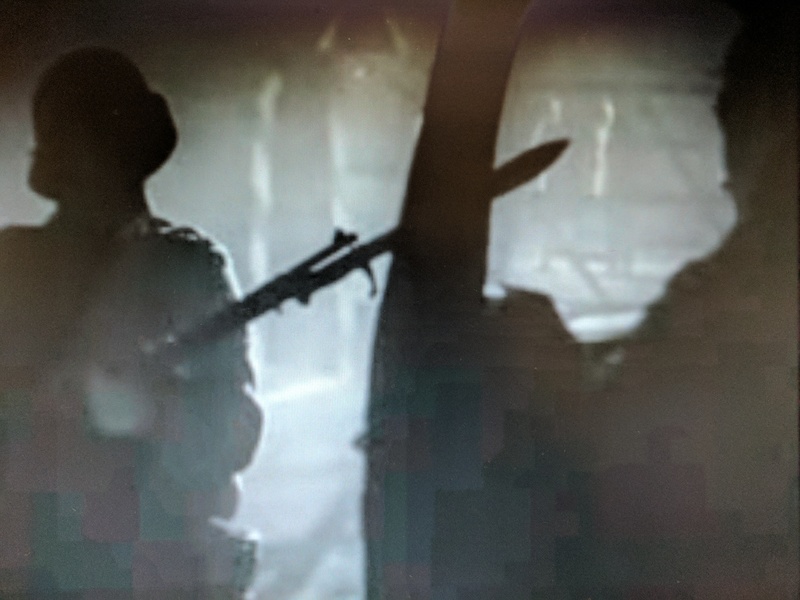 (U.S.)) is a classic WWII war films is a must see for anyone who is an history buff, classic cinema, British Cinema, war films- heck anyone who enjoys a superlative film. 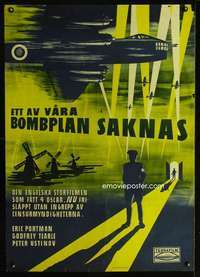 This was the inaugural film by The Archers, the producing team of Michael Powell and Emeric Pressburger. The two men would share directing credits on several films, including on another WWII drama, THE 49TH PARALLEL (General Films, Columbia ,1941) THE RED SHOES (General Films,1948), and BLACK NARCISSUS (General Films, U.I. ,1947) dissolving the partnership with one more WW II film, PURSUIT OF THE GRAF SPEE (J Arthur Rank,1956). Made as a propaganda film with full approval of the Ministry of Information, the film stands as an engrossing drama of courage of various types, with many exciting set pieces that are balanced by marvelous human moments. Done in a documentary style, the film has a marvelous sense of realism that is lacking in many other films of the period, even going so far as to shun a film score. 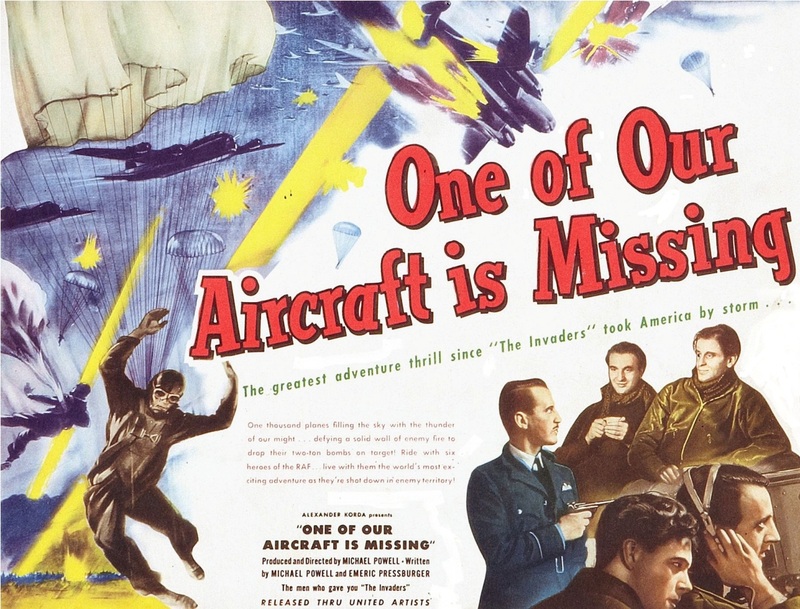 It is hard to believe that the film went into production before a fully finished script was in hand, but Powell kept rewriting the film when the military consultants would mention new innovations. Powell would then work these ideas into the film. That the film seems seamless is a credit to all involved, editor David Lean (who had co directed parts of MAJOR BARBARA (General Films,1941) uncredited the year before). 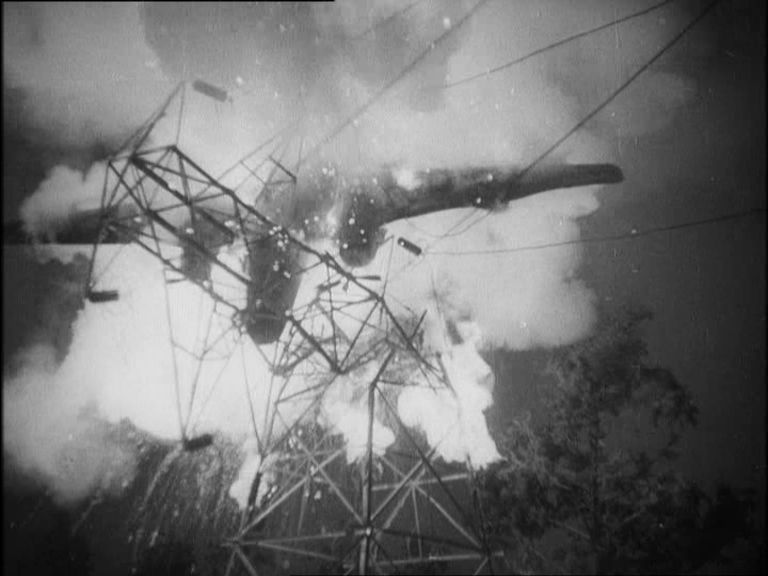 Also, major kudos to the effects team under Douglas Woolsey, who contributed realistic battle effects to several British films like CONVOY (Ealing,1940). The effects wizards could construct an amazing large scale replica of Stuttgart thanks to art director David Rawnsley who covered the entire studio floor with his miniatures. 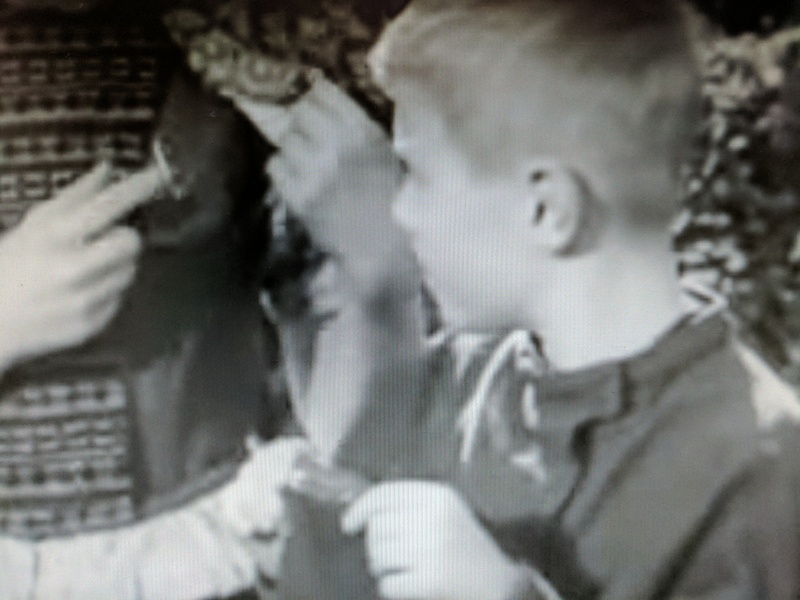 Effects Cameraman Freddie Ford filmed the sequence by laying on his stomach from the studio rafters floor ten hours a day to get some of the shots. So, convincing is it that it is easily blended with actual flying footage. That the film cost only £700,000 is a miracle. 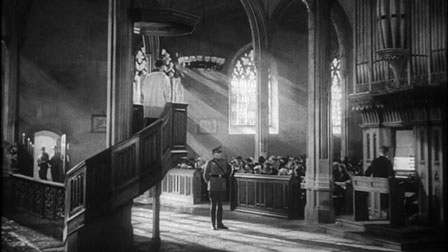 When the film was first released by United Artists in the United States, they edited out 20 minutes of footage, which, while probably allowing for more showings per day, probably robbed the film of much of its power. Still, the film is so well crafted, that it received two Academy Award nominations. 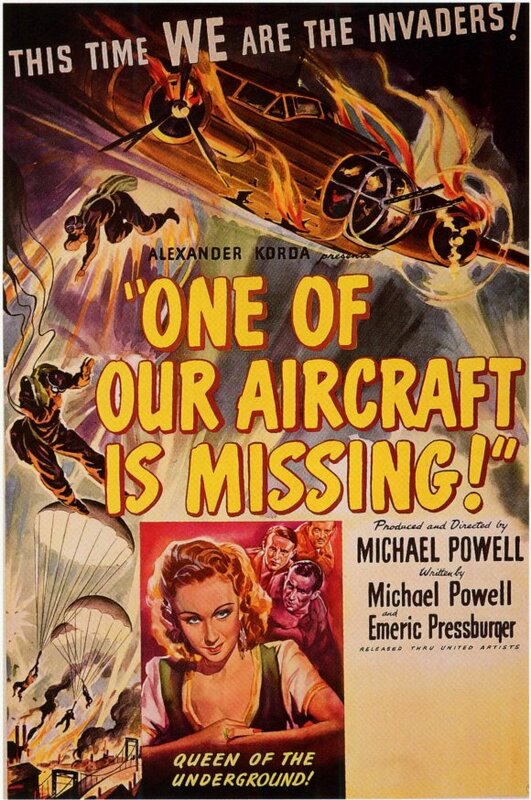 Oddly, this was Michael Powell’s only Oscar nomination. 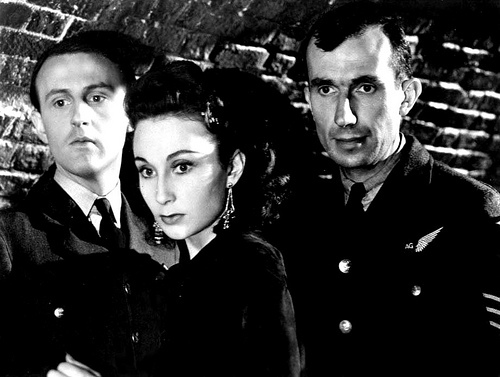 Due to its critical as well as financial success J Arthur Rank offered Powell and Pressburger a film by film deal to choose any subject they wanted. 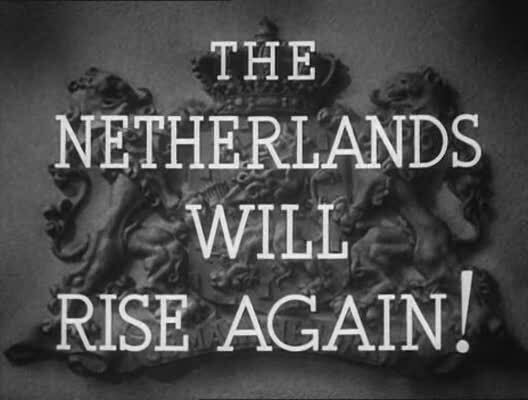 The movie opens with a title letting the viewer know that the film was made with the full cooperation of the Royal Air Force, the Air Ministry, and the Royal Netherland Government in exile at that time in England. It is then followed by a telegram informing us that five farmers in the Netherlands were executed by the Nazis for helping several downed British Airmen escape the country. 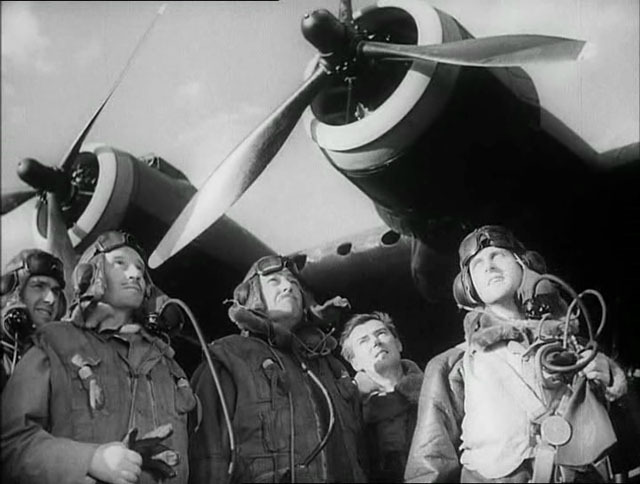 We then jump to an airfield in England where we see that a British bombing squadron is returning, all save one. The Vickers Wellington bomber designated “B for Bertie” has not returned. We then see the plane flying over the ocean, but that it is completely empty of crew. 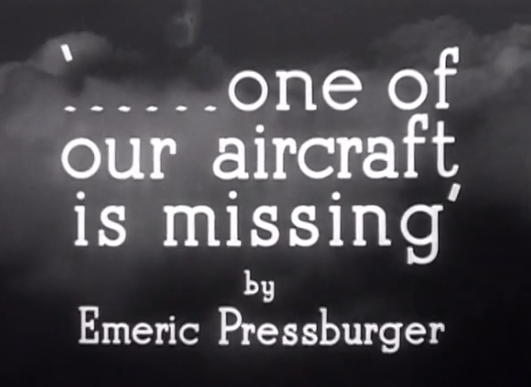 Finally flying over land, the ghost plane crashes into some power lines and explodes. -and former actor turned navigator Frank Shelley (Hugh Williams, who later with his wife Margaret Vyner wrote the stage play and later screenplay for THE GRASS IS GREENER), who is obsessed with his wife’s upcoming BBC radio performance. The squadron takes off, and soon they are over their target. The bombing mission is a mixture of actual flight footage mixed in seamlessly with effects sequences. 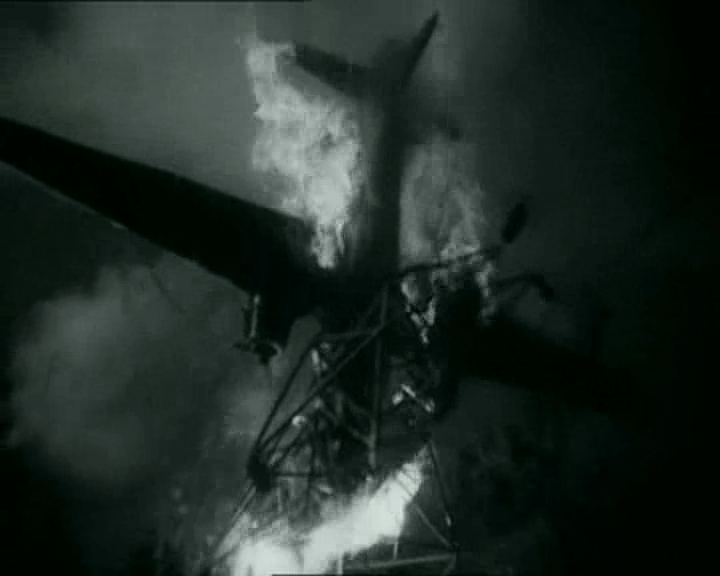 After dumping their payload, “B for Bertie” is struck by anti-aircraft fire, and the crew is forced to bail out over occupied Holland. As we had seen earlier, the plane did not crash until it had reached England. Five of the crew regroup, but find that Bob is missing. Trying to decide what to do next, they come across some Dutch children. Not sure if they will turn them in or help, the children explain that they support the British, and can be identified by the safety pins that they wear, a sign against oppressors and to keep together. Currently, this symbol is once again popular, first in England due to those who opposed Brexit (feeling that everyone was stronger together) and now in the United States as a symbol against oppression perceived in the Trump administration. 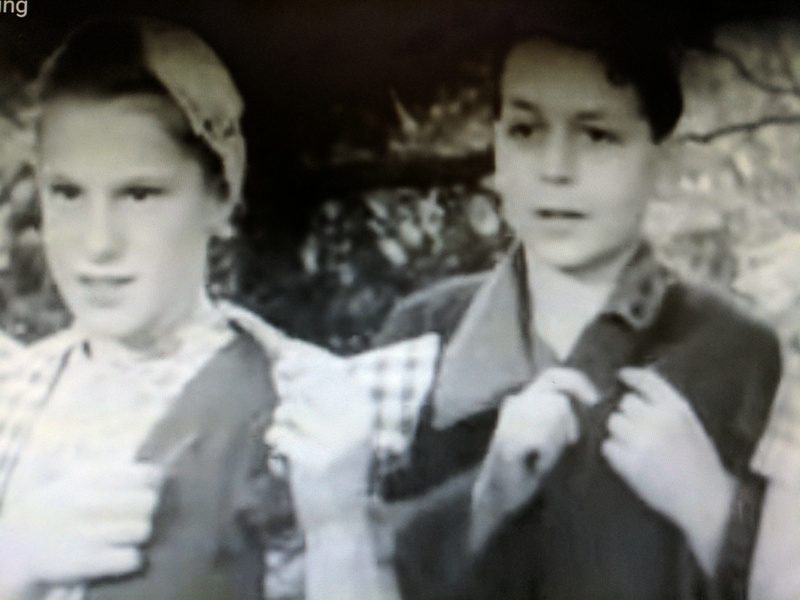 The children bring the airmen to meet teacher Else Meertens (Pamela Brown, in her film debut. A successful stage actress, she would live with director Michael Powell until her death in 1975). She questions the airmen to see if they are not disguised infiltrators. Satisfied that they are who they say they are, the Dutch disguise them and try and slip them by the Nazis via bicycle. A brief stop at a church has them nearly caught when the Nazis stop there after they discover one of the parachutes. Look for a young Peter Ustinov (later to star in ONE OF OUR DINOSAURS IS MISSING) in his film debut as the priest. 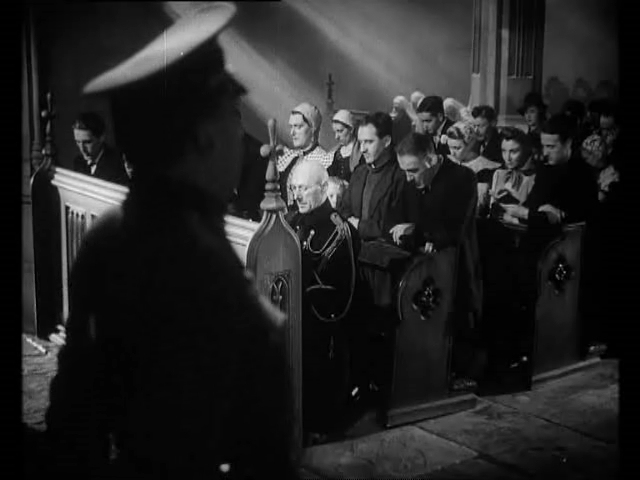 The organist Alec Clunes had given Ustinov his first stage acting break, and is perhaps best known for having played Hastings in Olivier’s RICHARD III (London Films,1955). Back on the road they see a football match being played, and among the players is their missing crewman Bob! Once again, the Nazis appear, and say that there are too many people at the gathering and 50 people must leave. The Burgomaster says that then they will all disperse, to annoy the Nazis sense of control and order. The Nazis allow them all to stay. The brilliance of this simple and courageous act of defiance is truly quietly moving. They are escorted out in some supply trucks, but when the Nazis wish to search them, they are confronted by Jo De Vries (Googie Withers, probably best known for appearing the haunted mirror segment of DEAD OF NIGHT (Ealing,1945) who with quiet authority gets the trucks safely through a check point. It should be pointed out that the women in this film have strength, intelligence and courage, and are in positions of authority. De Vries hides the airmen in her own home, letting the fliers know that she is thought to be pro German since she lets it be known that her husband was “killed” in a British raid, but she knows him to be safe in England working as a Voice of Freedom for Radio Orange). This is even more dangerous as the Nazis are garrisoned on her property. 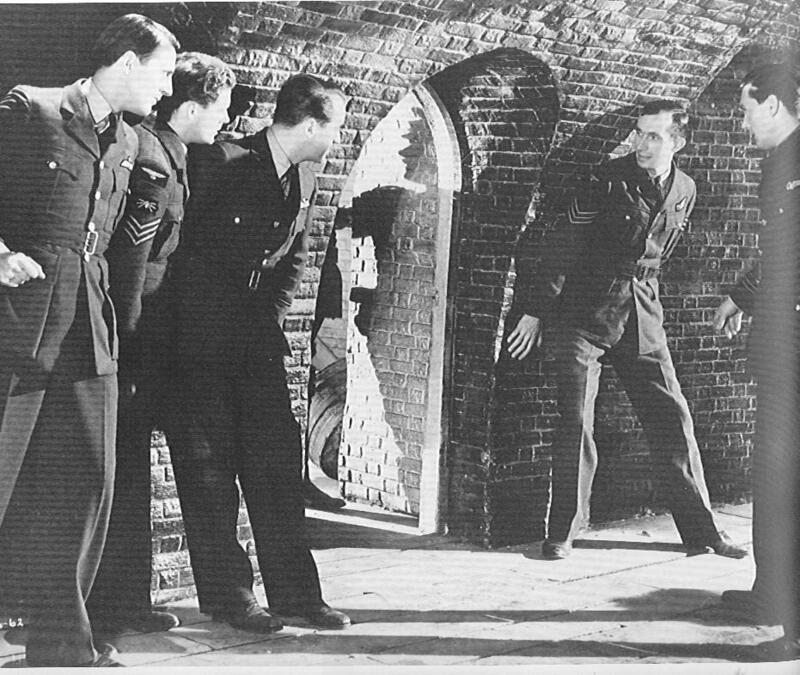 They are awaiting an air raid, when the German Soldiers are ordered into their bunkers and De Vries can slip them into the cellar unseen where there is a secret inlet that leads to the river and a boat awaits them. While they wait, there is some magnificent dialogue where courage, loyalty, and bravery are discussed. Finally, the raid occurs, and the escape attempt begins in earnest. Will the brave air men get back home to England? The Blu Ray does not have any extras, but the film is so superior, it is worth the purchase price, as I feel it will be a film you would watch over and over. The movie has been out on the home video format since VHS, but the quality was always of a very washed out print. The Olive Films is the complete 103 British print from the best elements possible. This release very sharp black and white images that complement the cinematography of Ronald Neame (later to become a producer with David Lean on such classics as BRIEF ENCOUNTER (Eagle Lion, Universal,1945) before becoming a director in his own right (POSEIDON ADVENTURE, Fox ,1972). The mono sound is clear and hiss free. Optional English subtitles are clean, easy to read and follow the action and dialogue. Thanks to John F Colaresi for catching some errors.